Hi, welcome to us! Today you will have fun very well through this kids game with doctors. Surely you know that doctors are very important in our lives, they help us to feel good when we have an accident. If we are cooled they are the ones who can offer appropriate treatment. 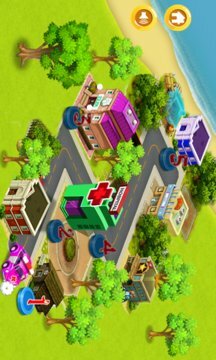 If you want to become a doctor when you grow up you will definitely love this game very much for children. Here, in this girls game you will meet a beautiful young woman, she really needs you. We are sure that you will like very much to help our friend to not be in pain. We trust you that you will be able to do everything you need. 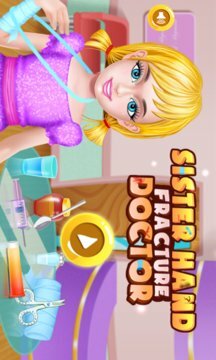 This game for girls gives you the opportunity to test all skills and even you will be able to prove to everyone that you will become a doctor responsible. For the mission to have a happy ending will have to follow all instructions of the game. - You are the best friend.